The Los Angeles Community College District (LACCD) is the largest community college district in the United States, comprising nine colleges spanning 882 square miles. These colleges have educated more than 3 million students over the past 77 years, and they currently enroll more than 225,000 students annually, 80% of whom come from underserved populations. LACCD received funding through taxpayer-approved bonds and the State of California to launch its BuildLACCD sustainable building project. 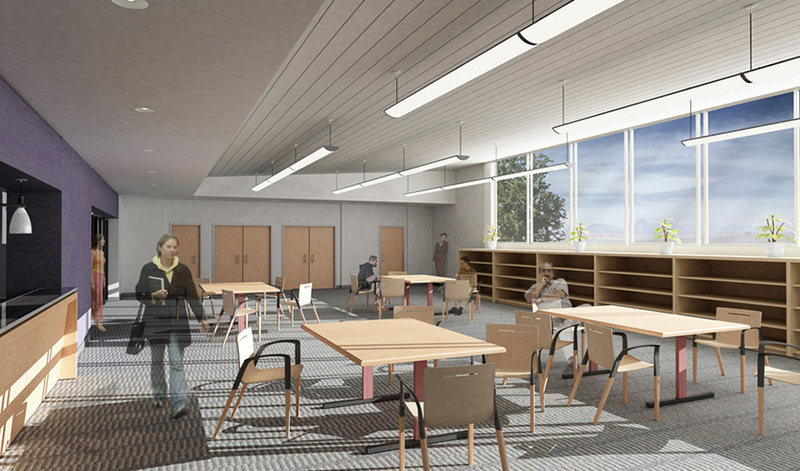 With a goal to expand the capacity and efficiency of the school while targeting zero energy usage, the $6 billion project is modernizing and improving campus facilities to enhance opportunities for students from lower-income communities. Beginning in the early 2000s, the bond programs called for designing and constructing more than 65 new buildings, as well as remodeling many others. The first two phases were traditional design–build projects, while the final phase of this ambitious campus transformation mandated a building information modeling (BIM) approach, requiring that each building be modeled in 3D and managed using BIM processes. The BuildLACCD project involved more than 500 participants covering nearly 1,000 different trades, conforming to different standards, and generating an exorbitant amount of project data. The LACCD team recognized that to meet the BIM mandate, they required a standardized digital design process. “We created BIM and spatial tools as a policy,” commented Marcela Oliva, project manager for BuildLACCD. For every design–build contract for new buildings or retrofits, building teams were required to follow BuildLACCD’s rigorous BIM program, which demanded strict compliance with rules regarding workflow, information sharing, and early design collaboration. For spatial coordination, design and trade-specific models had to be integrated into a consolidated 3D model using specific BIM advancement technology. As part of the standardized solution, Bentley applications (including ProjectWise, AECOsim Building Designer, Descartes, MicroStation, and Bentley Navigator) were used by hundreds of project participants — from architects and designers to construction managers and consultants — to create, analyze, and manipulate the 3D models. However, “the reality is that this technology implementation is just one simple, single component of a complete system,” explained Troy Barbu, BIM manager for LACCD. To bring all the information together, facilitate accurate data sharing, and optimize collaboration among these project stakeholders, LACCD required a connected data environment, adhering to standards and specifications that could ensure successful project delivery. To integrate people, data, standards, and processes throughout the project lifecycle, LACCD leveraged ProjectWise as the common interface and foundation for its standardized, collaborative BIM approach. LACCD’s BIM standards required ProjectWise as the central repository for all information, including models, drawings, specifications, photographs, and all other project data. “ProjectWise acts as the system that aligns all of the information into one source. It becomes the foundation for all drawings, data, models, and documents for this project,” stated Barbu. Currently housing more than 3 million files and 390,000 data folders totaling five terabytes of data, ProjectWise enabled the hundreds of stakeholders and project firms to coordinate efficiently and effectively, providing real-time access to project information in a controlled environment. Integrating Bentley Navigator and Navigator Mobile to incorporate i-models further enhanced information mobility and accessibility, while preserving data integrity and accuracy. 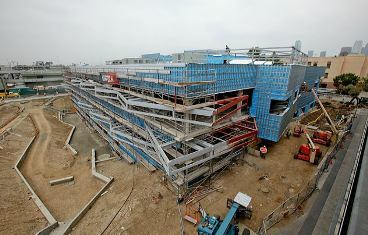 The interoperability of Bentley software provided a connected 3D environment where participants could better understand, review, redline, and share feedback on ongoing designs throughout the entire project lifecycle. When LACCD created its BIM standards, the team wanted to meet the BIM mandate to create the 3D models — but they also went a step further, capturing data associated with the assets in the planning and design phase so it could later be utilized by facility directors and campus project directors for maintenance and operations. With ProjectWise as the unified repository, all data is stored for use throughout design and construction of the facilities, and remains preserved throughout the lifecycle of every building for operations and maintenance. Barbu posed the question, “How can I take data that happens during design and construction of a building and really harness it for building operations?” The ability to bring the geospatial metadata together in ProjectWise provided a database representation of each building’s lifecycle and enabled access to the data via folder structure, comprehensive searches using metadata parameters, or spatially from the campus map. On a macro level, within each building folder, users can see the building spatially in addition to all the associated as-built documentation files, plus maintenance and operations documents. The i-models provide detailed access to information about the equipment associated with the buildings, indicating location and all the other data associated with each piece of equipment. 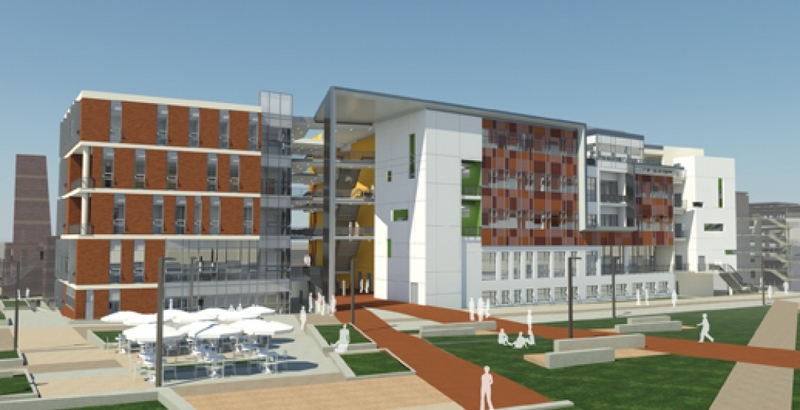 Together, these solutions present a clear representation of a building lifecycle, and using ProjectWise provides a transparent environment for ongoing data management of all nine college campuses. Working in a collaborative 3D environment using Bentley’s BIM solutions enhanced project coordination, and was instrumental in implementing LACCD’s BIM standards. ProjectWise provided an access-controlled, transparent, workflow-based system that served as a connected data environment for all project information. The use of i-models enhanced information flow of BIM models and standards in a transparent format, and ensured accurate data exchange and data integrity. Integrating Bentley Navigator to work with the 3D i-models streamlined BIM review processes and issue resolution, while Navigator Mobile allowed project stakeholders and participants to view information and resolve issues from the office or in the field. The interoperability of Bentley applications provided LACCD with a 3D connected system that improved real-time information sharing and document version control. This helped to reduce rework and costs equivalent to 12% in labor savings and $12 million in cost savings. Furthermore, LACCD’s comprehensive BIM methodology enabled project teams to incorporate solar energy and use low-cost electricity during off-peak hours to reduce energy consumption, ensuring delivery of more sustainable, Leadership in Energy and Environmental Design (LEED)-certified buildings. LACCD saved $2.2 million in overall utilities, with a $1.3 million reduction in terms of photovoltaics, resulting in 12.2% annual renewable electrical consumption. 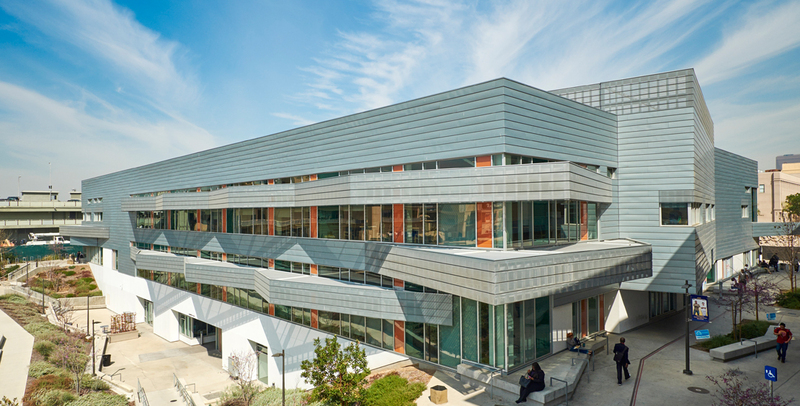 Using Bentley technology, LACCD created a system that is agile, mobile, quantifiable, and accessible to support the information needs of the individuals and firms responsible for building, operating, and maintaining the modernized campus facilities. 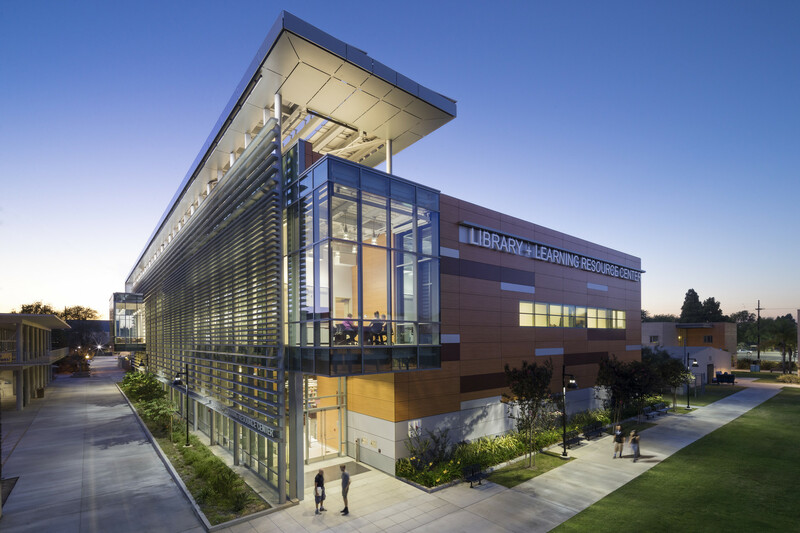 “We developed a system that doubled capacity with more efficiencies serving 150,000 students, and ProjectWise was at the center of it,” stated LACCD maintenance and operations standards coordinator James Conway-Juarbe.